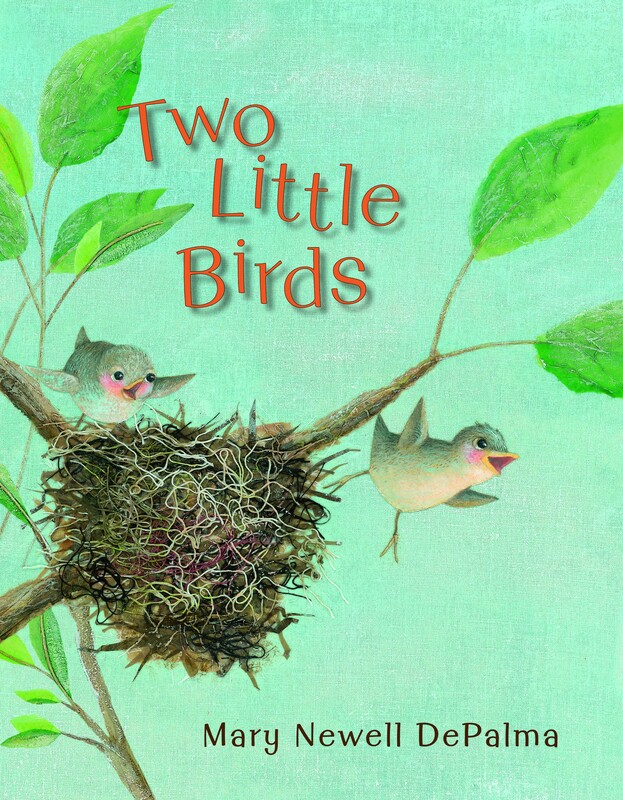 Mary Newell DePalma’s Two Little Birds follows a pair of orioles on their exciting migration to South America and back — but their journey begins and ends in a nest. This is because orchard orioles do not and will not use bird houses. They make teardrop style nests in tree branches. Even though they would never use a manmade nest, however, they are more than happy to use materials we provide to build their nests. 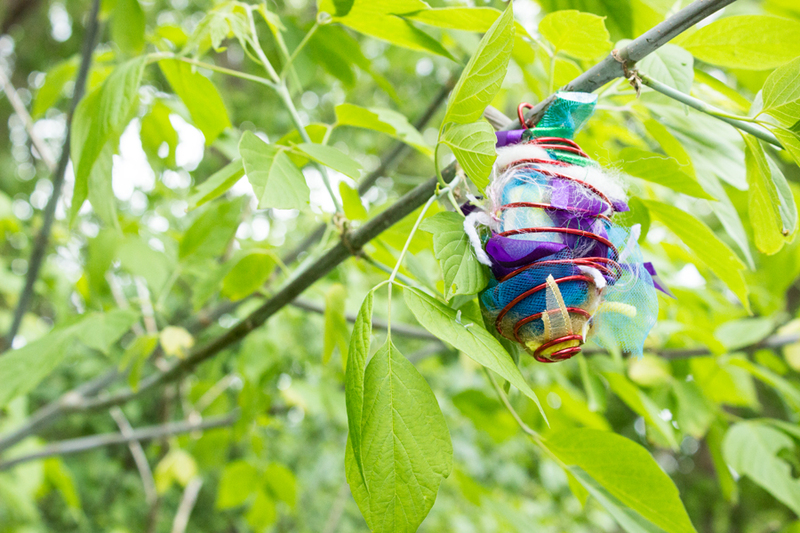 Encourage young readers to help these wonderful little birds build their homes by making and hanging nesting feeders outdoors for them. 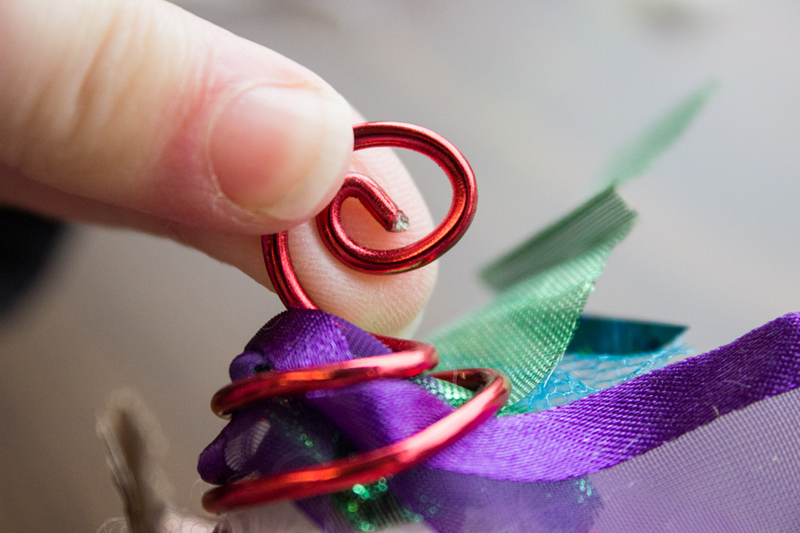 Step 1: Trim wire to a desired length. (The length of the wire will determine the size of the cage that will hold all the nesting materials.) I used about 4 feet of wire for my nesting feeder. 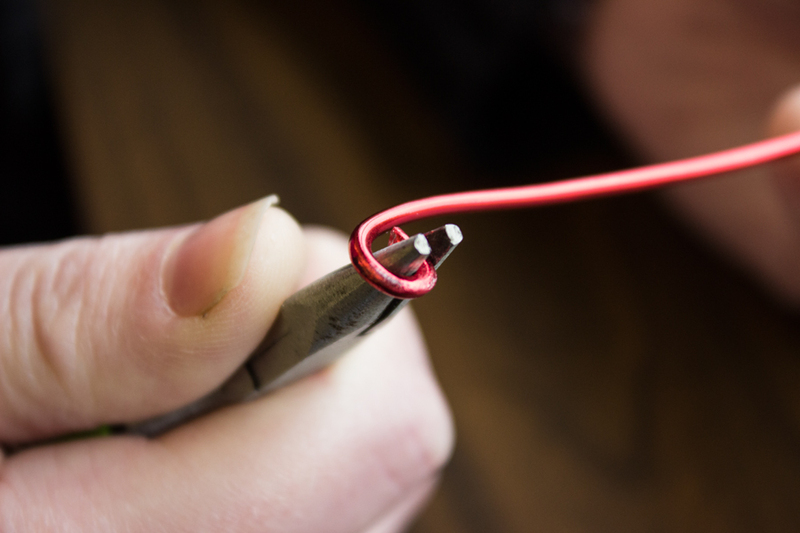 Step 2: Join both ends of the wire together and create a slight bend in the center of the wire. 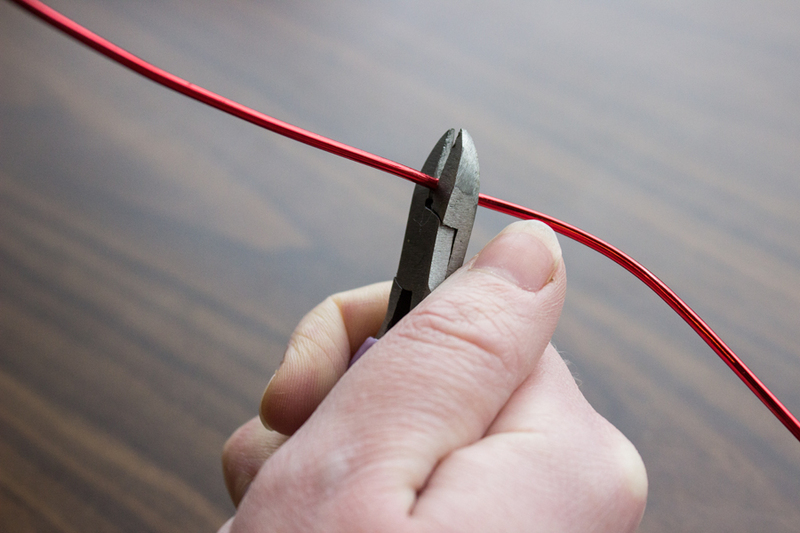 Step 3: Grasp one end of the wire with pliers and wrap it once around the top of the pliers to create a small, tight circle. Step 4: Roll the circle you just made back onto itself to create a spiral. The circle should grow in size as you create the spiral. 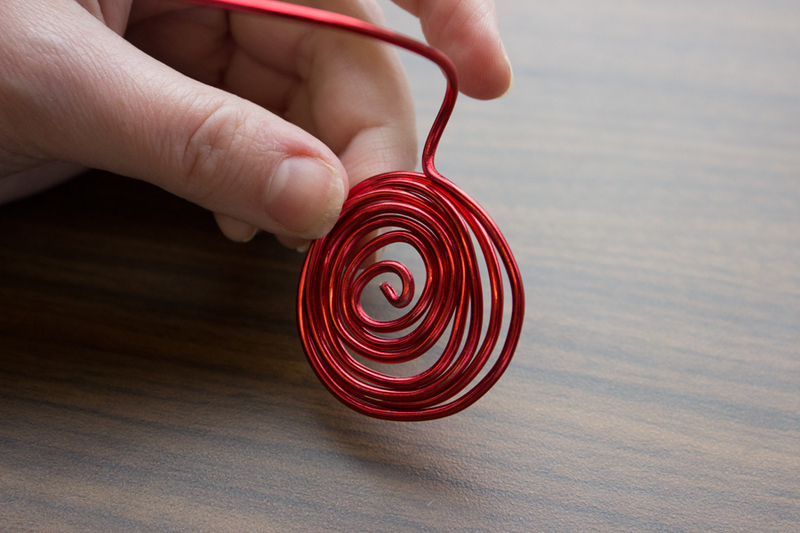 Stop when you reach the center of the wire (the spot you marked with a small bend at the beginning). 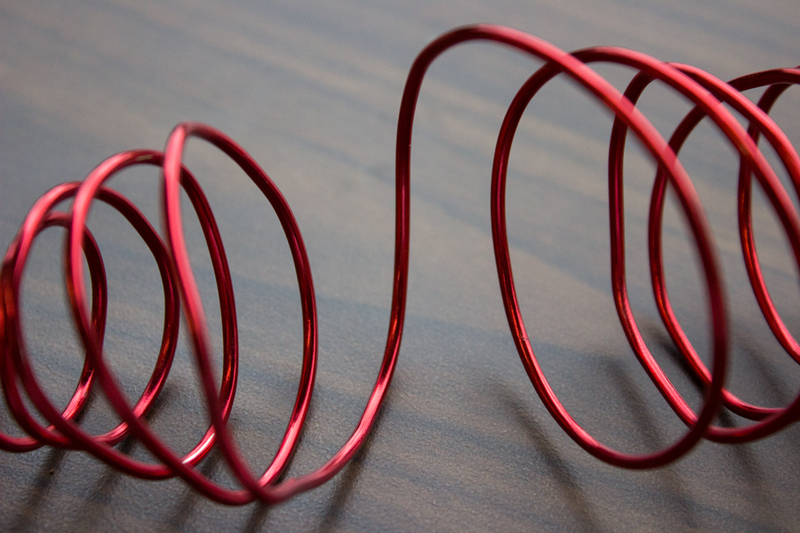 Step 5: Flip the wire over and repeat the same process on the second half of the wire. 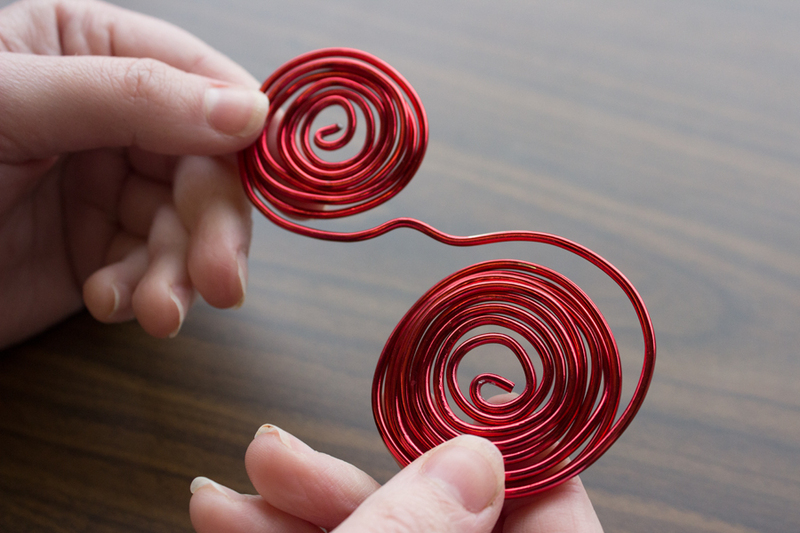 Step 6: You should have two circular spirals that are attached to each other. Make sure to follow the spiral pattern and fold the two circles so that they are on top of one another. 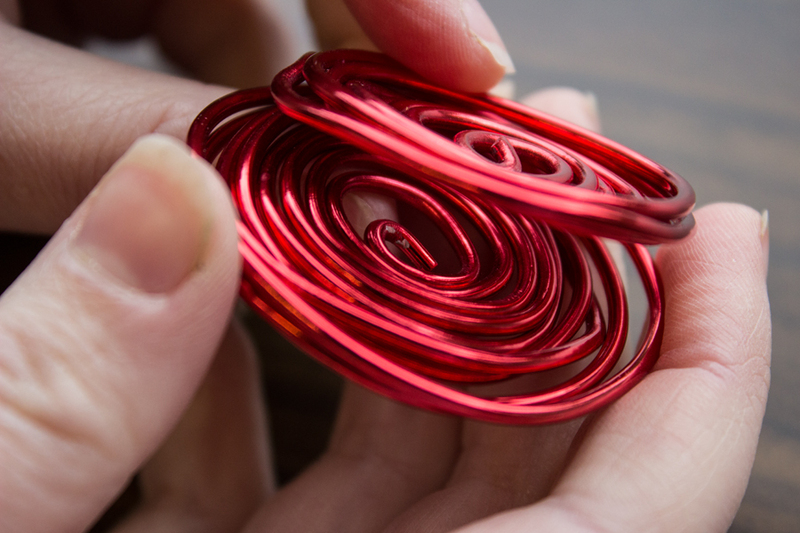 Step 7: While holding the largest spiral of each half, grab the small circular spiral you made at the beginning and pull it up and straight out. 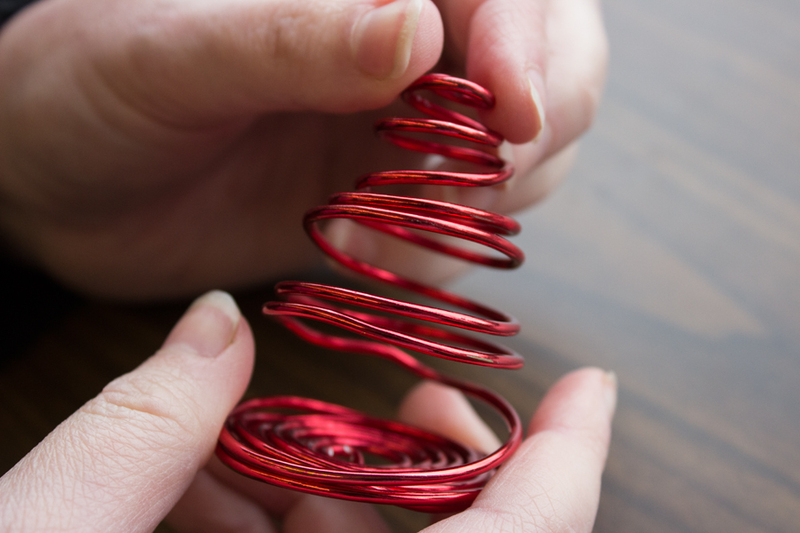 This should give you a cone of spiraled wire. Repeat the process on the other side. 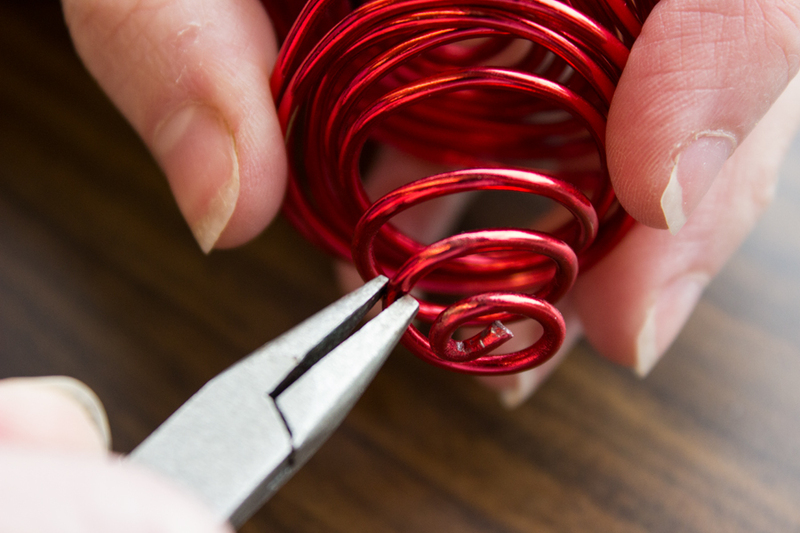 Step 8: Adjust the wire by pulling and pushing on it until you have a shape you are happy with. 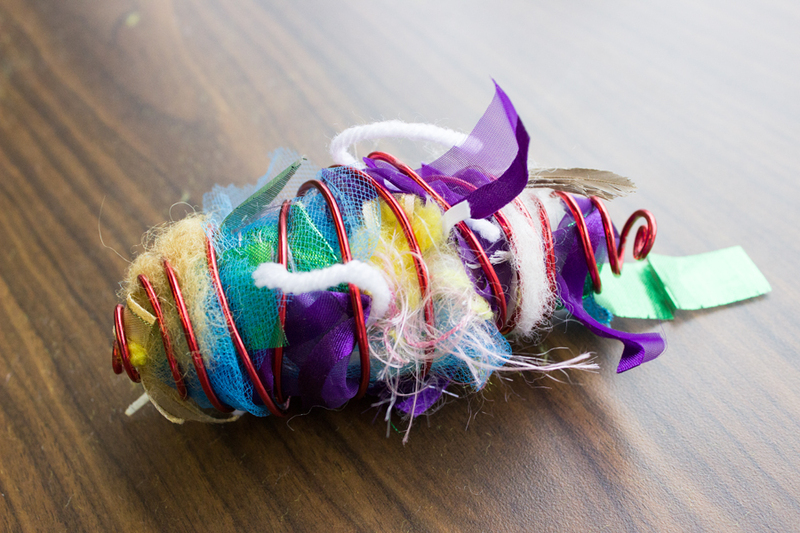 Step 9: Set aside the spiral wire cage you created and gather your nesting material. 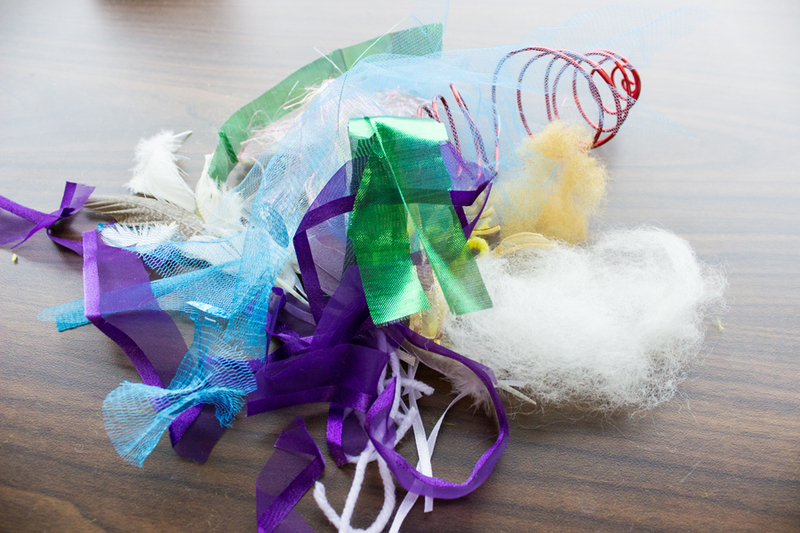 There are many possible nesting materials that might appeal to birds: ribbon, yarn, felting wool, cloth, cotton balls, feathers, animal fur (gathered when your pet sheds), straw, plant fluff, and moss. You can use any materials you would like — but keep in mind that they need to be strong enough to withstand getting wet without disintegrating or falling apart. Also, birds are very sensitive creatures and can get sick from chemicals quite easily, so make sure that the materials you put out for them have not come into contact with any chemicals, soaps, perfumes, detergents (i.e. laundry lint), pesticides (i.e. pet fir that has been recently treated with flea or tick medicine), or other poisonous substances. 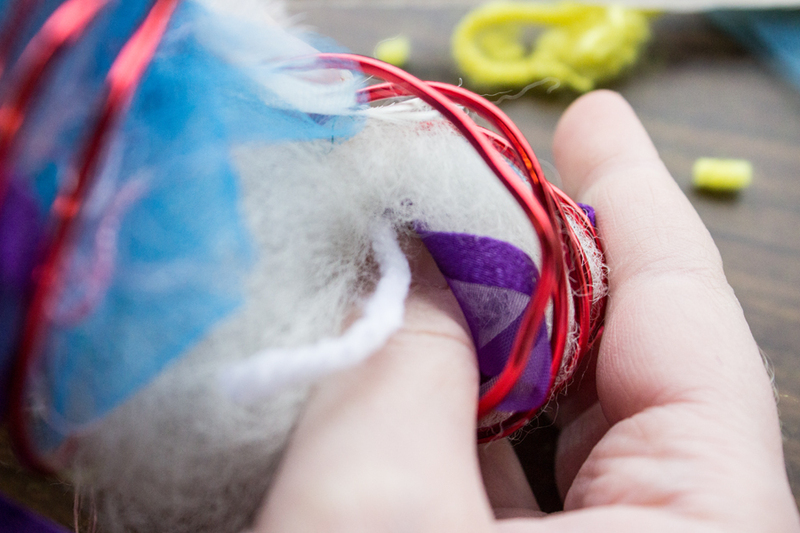 Step 10: Cut any string, yarn, or ribbon into sections that are three to five inches long. 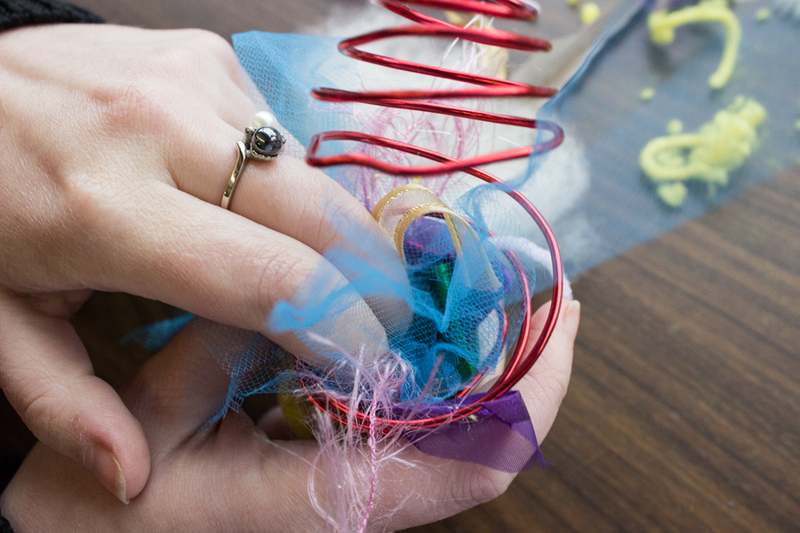 Cut fabric into strips no wider than one half inch and no longer than five inches. This will ensure that the material will be small enough for the bird to be able to carry and also short enough to prevent any danger of the bird getting tangled in the nesting material. 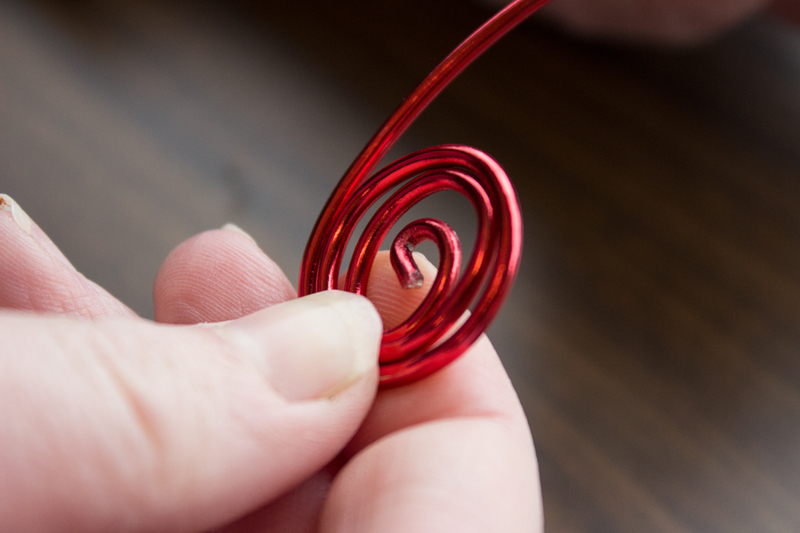 Step 11: Returning to the spiral cage you made, pull the two ends apart slightly. Take the nesting material that you have prepared and stuff the material into the two ends of the spiral until the spiral cage is full. Don’t pack the material in too tightly, or the birds may not be able to pull it out. Then push the wire cage back together. 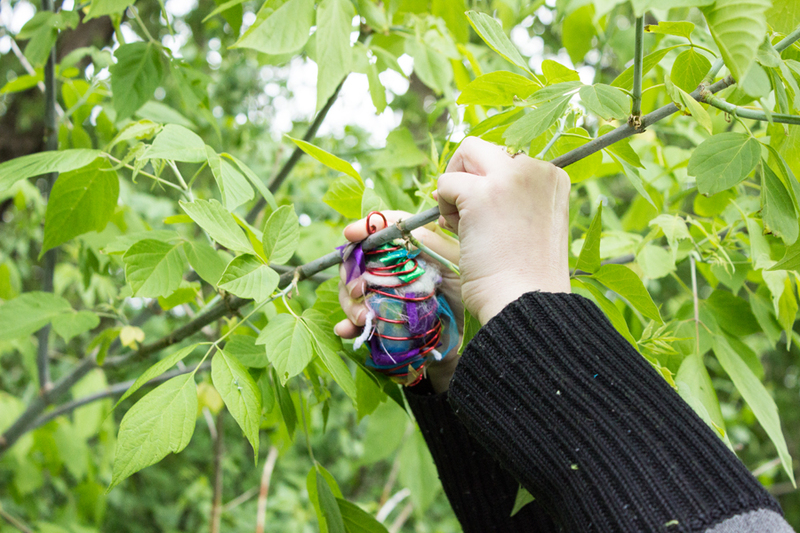 Step 12: Use pliers to bend one of the small spirals you made at the beginning to make a hook so that you will be able to hang your nesting feeder on branch in a tree.